According to the 8th edition of the annual medico legal review held in Chandigarh recently it is Punjab which has reported the highest number of medical legal cases followed by West Bengal, Maharashtra, and Tamil Nadu in that order. Punjab holds a 26% of all medical legal cases, while West Bengal, Maharashtra, and Tamil Nadu hold 17 per cent, 16 per cent and 11 per cent, respectively. These figures have been reported at the 8th Annual Medico Legal Review, 2016 meet was held at Le Meridian in Pune by Institute of Medicine & Law (IML). The objective of the report was to have a deeper perspective on the medico legal environment in the country by comparing statistics of medical malpractice cases and analyzing the comparative figures. The reasons attached to the prevailing situation, the current trends in medical malpractices cases were all to be examined at the review meeting. As a result, during the course of the event, there were discussions centered on various aspects of legal complications involved in medical treatments; particularly those with medical negligence or faulty medical events occurring during treatment regimes. 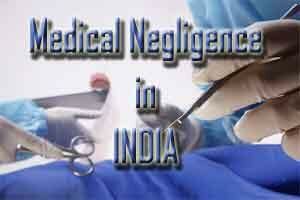 One critical point which was pointed out by the IML team is how even smaller and backward states like Chattisgarh are reporting an increase in medical negligence cases. Notably, Chattissgarh was in the 6th position last year for filing cases against medical experts in the consumer courts. Bajpai also highlighted how laws take into consideration the doctor’s experience, for his/her on-spot decisions taken during the treatment procedures like surgery, prior to pronuncing a judgement. Among the several reasons that the patients file complaints, the key ones included medical negligence by doctors, delay in initiating treatments, charging exorbitant medical fee and lack of communication between the hospital and patient’s family about the treatment, medical fees, etc. As reported by TOI, Annual Medico Legal Review 2016 was presented by Supreme Court advocate Mahendrakumar Bajpai and chaired by Dr Suresh Vasishta, president, Association of Surgeons of India. Prominent speakers and guests included Yogendra Singh, advocate – High Court, Mumbai, Dr VP Singh, editor-Legal Issues in Medical Practice, among others.